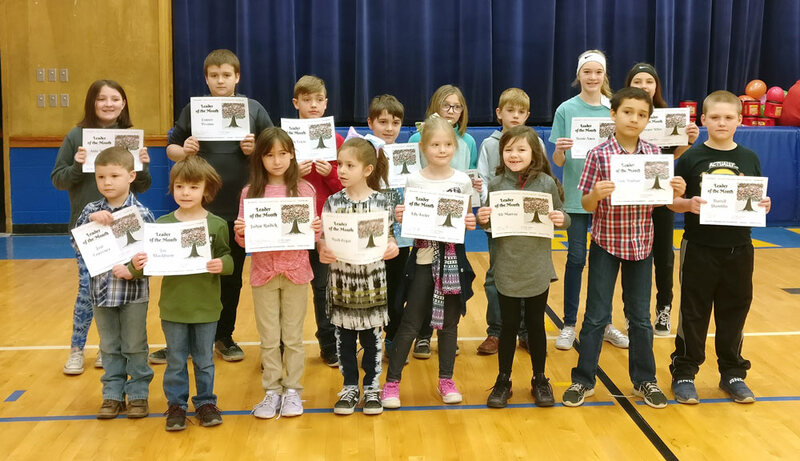 January leaders of the month were recognized at an assembly on Friday, March 15, at Crane Elementary school. The selected students are pictured above. In the back row, from left to right, are Abbi Wells, Conner Preston, Jayden Lewis, Colby Tracy, Lylah Wilson, Ely Essary, Averie Amos and Harper White. In the front row are Jase Lawrence, Jax Blackburn, Jadyn Rudick, Ayah Zegar, Lily Frieze, Ali Murray, Cole Hudson and Darrell Shamblin.